Coffe comes in waves. Waves are like trends, a step to do to keep up with the evolution. 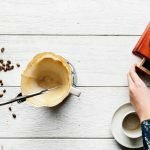 Actually, coffee started before any of these trends; in the 15th centuries coffee became famous in the coffee houses of the middle east and after a couple of centuries it was popular in Europe as well. The first wave of coffee brought coffee to the people and not only anymore for the rich one. 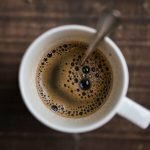 It’s just something needed to wake up in the morning; a black, burnt and bitter liquid to activate our brain. This wave is known for the ready-to-drink coffee, a can with pre-ground coffee inside that we still see on the shelves of the grocery. Folgers, Maxwell House, Jacobs and many more were selling their air-tight containers. The second wave has seen the advent of the coffee chains like Peet’s, Zabar and Starbucks. It started in the 1960s bringing a significant improvement to the communication and marketing aspect. From now on we can start talking about taste and quality (and specialty coffee) and forgetting about the poor quality of the pre-ground coffee. 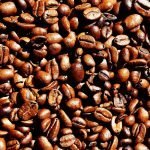 In order to achieve quality, coffee (especially arabica beans) started getting roasted medium-light bringing more flavour in the cup. Coffee shops start selling specialty coffee or at least single origin coffee and milk beverage like latte and cappuccino. Coffee isn’t just a coffee to wake us up anymore. Third wave started in the 1990s and has seen the advent of the coffee chains like Blue Bottle, Intelligentsia and Stumptown along with specialty coffee that served not only espresso or milk beverage but even different brewing methods like syphon, V60, aeropress and chemex. This wave brought a new way of thinking about all the coffee industry. Matt Lounsbury (former Executive Vice President of Stumptown Coffee Roasters) said that the third wave is “similar to terroir with wine”, “a coffee can be an individual expression of a place”. Like wine (and also beer), we start talking about direct trade, micro-lot, fermentation, provenance, micro-climate and so forth. Direct trade is the driving force of this wave: the coffee company start going directly “to the source” where the beans are grown with a focus on sustainability. 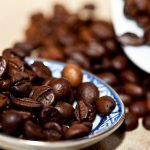 With direct trade a coffee company is willing to pay twice or even more the farmer for their effort; as a consequence, the farmer makes more money that allow he/she to invest in farming and processing techniques. The coffee is more expensive but the quality is much better. Coffee now are shade-grown and are picked by hand selecting only the ripest cherry to guarantee its highest quality. 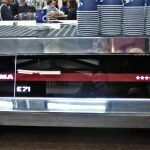 Drinking coffee has now become a drinking experience (like when we go to a cocktail bar) and the barista explain us which beans he/she is using and where they come from, what kind of process has been used, what the brew ratio of the drink and so forth. So now what’s the future? But, regardless whatever waves we are, the coffee industry still has plenty to say.